New Zealand seems to be on everyone’s bucket list. As a Kiwi, I know lots of little tips and hacks for making travel in New Zealand cheaper. Check out my New Zealand category for more posts on travel hacking in New Zealand. For New Zealander’s who want to get away on a weekend break or international tourists who want to get around the country quickly. Here is my guide for finding cheap flights in New Zealand. 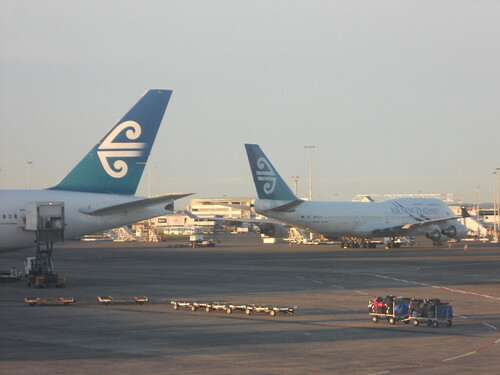 New Zealand has just two domestic airlines services – Air New Zealand and Jetstar. While the Air New Zealand network is substantial, outside of the main cities it can be expensive, frankly, because they’re running a monopoly on most routes as Jetstar only services the main centres. Even though New Zealand is a small country, the fact that it’s split into two islands can make flying a necessity, especially if you’re time poor. All domestic flights are quick and painless and can save you valuable driving time. Petrol is expensive in New Zealand (currently $2.10 per litre) so picking up a cheap domestic flight can save you a lot of cash. Air New Zealand is a great airline. Although you’ll have to pay an extra $10 to check a bag, they’re still a somewhat full service airline. On domestic flights you’ll get tea, coffee and a Kiwi-inspired snack plus in-flight entertainment (depending on the aircraft. Not to mention their humourous safety videos! Air New Zealand is very forward thinking when it comes to social media and does a few interesting things to promote their airline. Grabaseat is Air New Zealand’s home of cheap flights. New specials are posted each day, with a set amount of fares available on certain dates at a discounted price. Most Grabaseat fares are in the $39 to $79 range with dates anything from a week to a month or so out. Download the Grabaseat app and set up an alert for the routes you’re after. Sign up to Grabseat on Facebook to get advance warning of big sales. 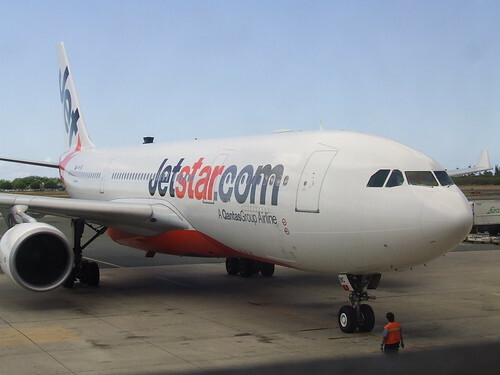 Flights between the main centres are often pretty cheap but Grabaseat’s real value is on the routes where there is no competition from Jetstar. These fares are normally much pricier and significant savings can be made using Grabaseat on routes like Christchurch to Tauranga, Wellington to Napier or Auckland to Dunedin. Grabaseat also run Reverse Auctions every Tuesday. Each auction is for a specific route on a specific date, usually for two people and usually a return flight. The clock starts ticking and the price starts dropping. You hit buy when the fare reaches the price you’re willing to pay for it. Most fares sold are for travel within one or two weeks time. Don’t worry that Grabaseat fares and auctions are for seat only fares. You can add a bag to your fare after purchase for an additional $10 for 20 kgs of luggage. Standby fares are available for $69 on all of Air New Zealand’s domestic routes. (One exception: Auckland and Queenstown or Dunedin for $89). Pitch up to the airport, go to the standby counter, pay for the flight with your credit card and wait for the next available seat. If no seat comes up your money is refunded. Jetstar don’t have the best reputation amongst travellers. They’re prone to cancelling flights and running hours behind schedule. They’re a budget airline so don’t offer inflight entertainment or food & drink and you’ll pay for any baggage you check in. They’re incredibly strict on hand luggage size and weights and check in times. Having said all that, for domestic flights around New Zealand they’re actually pretty good. Just know what to expect. Generally, Jetstar’s fares are cheaper than Air New Zealand’s if you’re booking well in advance. If you know your route even one or two months in advance of your travels – book it now. Get yourself on Jetstar’s mailing list. Each Friday between 4pm and 8pm NZT they offer “Friday Fare Frenzy” to subscribers. Know that it’s coming and be quick to pounce as these fares don’t stick around for long. Domestic flights can be snapped up for as little as $9 but usually around $29. Sign up to Jetstar’s Facebook page for tip offs of impending flight sales. Again, you’ll want to move quickly to secure any bargains. Sign up to the Jetstar Facebook page and Grabaseat Facebook page and keep your eyes peeled for specials. If you’re booking well in advance Jetstar will be the cheapest option. Set up an alert on the Grabaseat app for the routes you want. If your dates are flexible, wait for a Reverse Auction on the route you want or go Standby. Let me know how these tips work out for you! Love this! I am a tried and true die hard Air NZ girl! Honestly can’t say enough good things about them..
I’ve been to the South Island 3 times in the past 3 months, courtesy of Grab a Seat deals, (one time we did go Jetstar, luckily drama free). Living in the Far North, that Kaitaia to Auckland flight is a lifesaver when you can get it for a decent price! I love ditching that 4 hour grueling drive to Auckland any chance I get! And the wee 18seater plane is crack up. Flying in NZ is definitely under-rated – and this country has got equally awesome aerial views too! There’s nothing prettier than flying down the East Coast on a beautiful sunny day. Indeed you should!! How about we bust out a crazy standby trip next time you’re here?? Go wherever the mood takes as for a day. That $9 includes the taxes Gabi!!!! It’s one of the super specials out there. You’ve got to subscribe to get those emails though!!! We also discovered, when travelling on to Sydney, that we could take an Emirates flight from Christchurch. It was priced the same as Jetstar, yet we had the full services of a “real airline”: baggage allowances and nice meals! I’ll be sure to include that in next weeks tips on flights to New Zealand Larissa! I’ve flown that route with Emirates before on the way to Bangkok and it’s a nice flight. A lot more comfortable the Jetstar’s squished, plastic seats. Yes!!! It’s a great choice for those pricey routes. Usually it works quite well unless there’s a big event or flights have been previously delayed on that route due to weather. When you check into the standby desk they’ll give you an idea of when/if you’re likely to fly. That standby fare on Air NZ is a great tip for our next trip. I would never have thought to look for a standby fare; I haven’t seen one in years for any North American carriers. Initially AirNZ brought it out for fares to and from Christchurch to allow locals to get away from the quakes and to encourage a bit more tourism to the city but it’s taken off across the whole country now which is fantastic. Jetstar isn’t too bad for a cheap trans tasman flight. The only thing that kind of hurts is if you have to do it directly after another long haul flight on a full service airline. Those last few hours with no TV, food or water can be painful and buying supplies in Sydney airport is expensive! Oh that is a real bummer! They kept that VERY quiet indeed. I follow Air NZ on Facebook & Twitter and they never mentioned it. Will amend the post. Thanks for letting me know. If you can fly to Australia on Air Asia, Scoot or Jetstar and then pop across to NZ on Jetstar that might work. There is an Air Asia sale on at the mometn! If you can find the fares on sale it’ll make it a lot easier! Emirates often has really good prices from Asia to NZ too. Let me know if you have any questions about travel in NZ Brooke! I’m working on a big post of NZ travel tips at the moment too. Cool! One of the main questions I’m having is about how to get from Taupo to Tongariro National Park. From there I’m determining if I should return to Taupo and stay there overnight and travel to Wellington afterwards or if I should stay closer to Tongariro and then go to Wellington. Any advice? You’ve picked the one part of the country that I’m not overly familiar with! You should have a look at Mana Bus and Naked Bus. Maybe tweet them and ask what the best route is?